What's on your tray today? 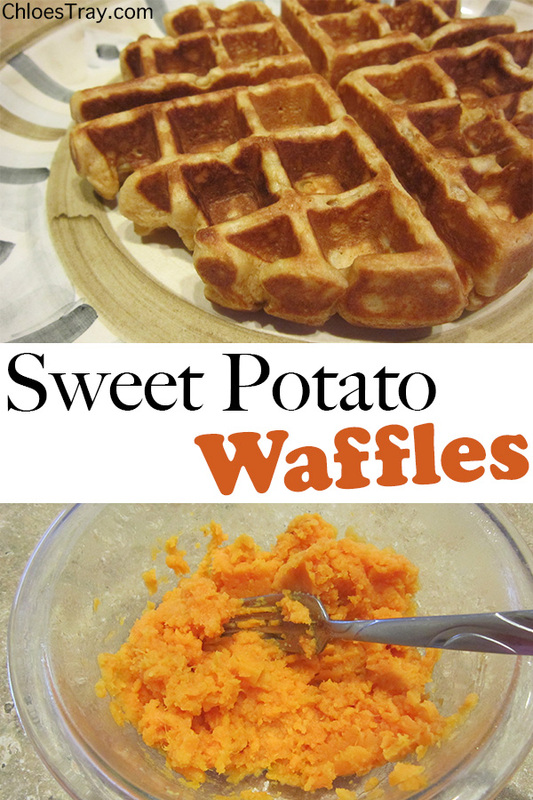 Try this unique waffle recipe that is made with mashed sweet potatoes and flavored with oranges. They are great for breakfast or even dessert. We ate ours with vanilla ice cream, which was super yummy! Steam sweet potatoes until tender, about 20 minutes. Mash the sweet potatoes with a fork in a medium sized bowl. Add milk, brown sugar, butter and grated orange rind. In a large bowl, combine flour, baking powder, and salt. Pour into the sweet potato mixture and stir to combine. Beat egg whites until stiff peaks form. Slowly add the egg whites, 1/3 at a time, to the large bowl and gently fold to combine. Heat a waffle iron and spray with non stick cooing spray. 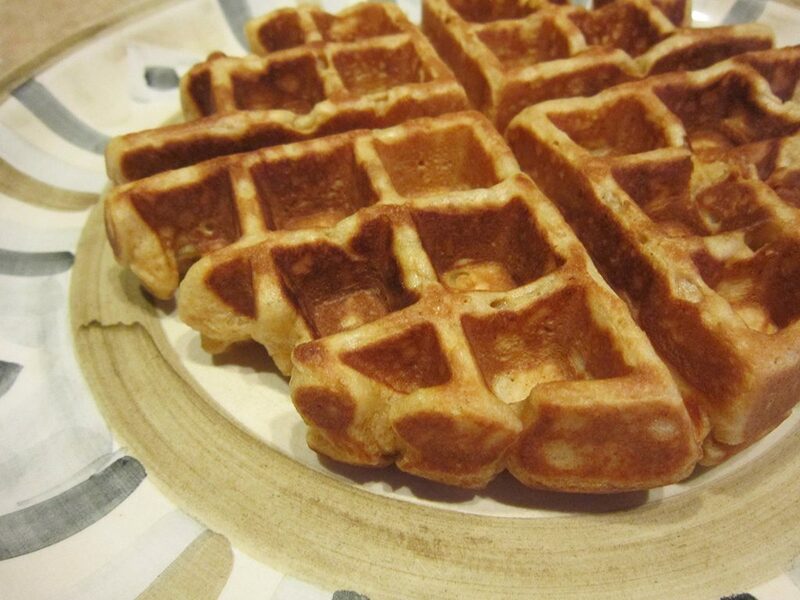 Scoop 1/4 cup batter onto the waffles iron, cooking until lightly browned. Serve with pure maple syrup, nuts, fruit, ice cream, or anything you like on waffles. Check for new recipes on Monday, Wednesday and Fridays! New Recipes Monday, Wednesday, and Friday!